The central exchange unit is the core of the INDUSTRONIC systems. 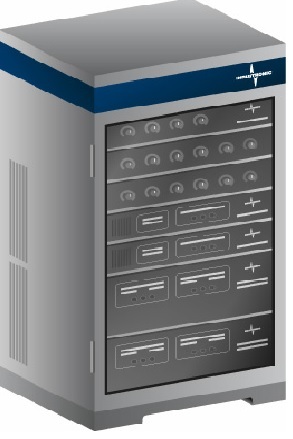 In addition to containing the central power supply, it also houses the central processor with the software for controlling the system, various interface cards for connecting the INDUSTRONIC call stations, loudspeakers and other terminals as well as connection cards for other communication systems, telephone systems, radio systems, sensor-controlled systems and more. Depending on the requirements and the desired type of communication system, the central exchange units are also equipped with public address modules such as voice memory, tone generators and amplifiers in different models.